A range of essential free products with orders over €99. Ideal creative and empowering gift ideas for all occasions (Christmas, birthdays)! Massively discounted products we found during the recent move. 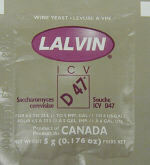 Found during our annual stock take, these homebrew wine kits are short dated or over stocked and we must move them asap. Wide selection of short dated homebrew beer kits and malt extracts to go with them, and cider kits. We found these after a stock take and are keen to move them on. Super deals on turbo yeasts, essences, activated carbon / charcoal. Buy a voucher for any amount, the ideal gift. Special Offers, Free Goods, Christmas Gifts and Vouchers for Homebrew Beer And Wine Making. Go for the best value Beer Starter Equipment Kits. Incredible beer kit bundle deals, widest range of beer brewing kits. Massive range of equipment for beer, wine, cider makers. Broadest range of Ingredients and Chemicals for home brewers. Liquid Malt Extracts (LME), spraymalt, best quality. Widest range of fresh beer yeasts by far. Stored cool. Bulldog hop pellets, nitrogen flushed hop pellets alu foil pack. European and American (Colorado) grains/malts. Mashing bins, hop spiders, bags, muslin and straining bags, sieves. True world beer style clones and AHA award winners. Beer Starter Kits, Equipment, Beer Kits, Ingredients for Irish Home Brew Beer Makers. Get the best value Wine Starter Equipment kits. Australian Blends Wine Kits are the best sellers by far. 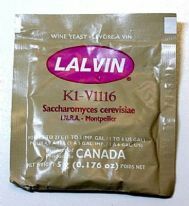 Largest range of wine yeasts and nutrients for wine makers. Wine Making Equipment, Wine Making Kits And Ingredients for Home Wine Makers in Ireland. Broadest fruit press range, starter kits for cider makers. Widest range of homebrew cider kits. The Craft Range had only one target: make the best quality cider kits in the world. Cider kit bundles offer the best value on the market in Ireland. Cold stored yeasts for Cider Making. A Range of Professional Speidel Cider Making Equipment for the more serious cider maker. Cider starter kits, cider kits, equipment and ingredients for Irish cider makers. Distillers, hydrometers and spirit making equipment. Turbo yeasts including Alcotec 48 Dual Turbo Yeast. DoubleSnakes Turbo Yeast by Alcotec are very popular. Special Multipack Turbo Yeast Deals, Free Spirit Carbon. Activated Carbons, Clearing Agents (finings), Enzymes. Complete Ingredient Packs for half strength Vodka base. Produce 21% Whisky, Gin, Cherry Brandy, Scotch Mist etc. Alcotec essence sachets for flavoring base spirits. Prestige (PR) Essences flavor your liqueurs and spirits. Pre mix liqueur/syrup essences in 700 ml glass bottles. Add vodka. Liqueur Extracts to make spirits and liqueurs at home. Natural liqueur extracts for home made liqueurs and spirits. Turbo Yeast from Alcotec for Commercial Distilleries. Still Spirits Turbo Yeasts, Activated Carbons. New value Turbo Yeast Ranges. Turbo Yeast, Spirits And Liqueurs Equipment And Ingredients for Spirit And Liqueur Makers. Mead Yeast to make mead from honey in Ireland. Home brew mead making ingredients and equipment. Equipment and Ingredients for Irish Mead makers, best value and widest range. Books and magazines for home beer brewers and wine makers. Interesting and amusing articles about brewing. Beer and Wine Brewing Advice and top tips for beginner Homebrewers to Professional Brewers. How-to articles, and books about how to make home brew. Lots of tips and tricks too for Irish Homebrewers. Avoid the pitfalls. Articles range from basic to advanced. Kilner Jars, successfully preserving fruit and vegetables for 170 years. Full range of Kilner products at wholesale prices. All the equipment and ingredients required to make fresh home made cheese and yoghurt. All the bits you you need to make Kombucha at home, see video to get cultures from shop bottles. Widest range of equipment and ingredients for cheese and yoghurt makers: starter kits, cultures, rennets, cloths, mats, molds, and more. Everything you need to make cheese, yoghurt and kombucha. For a massive range of canning products, see the Kilner Section. Wide range of Germinators And Seeds, Soymilk making equipment, Steam Juicers, Peelers, Slicers, Stoners, Mills. As the official Speidel agents, we are the only Irish company that supply their microbreweries. As Ireland's agents for many European malsters, we offer a wide range grains / malts. As Ireland's Speidel agents, we offer official ingredient packs for Speidel beer recipes. Thinking of setting up a micro? Essential one day Speidel hands on course in Galway. An article advising you how to get your microbrewery beer bottled and labeled. As Ireland's Speidel agents, we supply their full range of products. Top quality Microbrewery Equipment in Germany that is affordable and easy to use. Training and advise available. Homebrew products no longer stocked, kept here for historical reasons. We are the Irish homebrew wholesalers for all the major brands. Widest range, best value and local in Galway, Ireland. Get on our emailing list to receive regular special offers. If not, just pop an email to sales@homebrewwest.com with this in the first line: "I wish to opt in to your emailing list" and get a special once off 5% discount code.